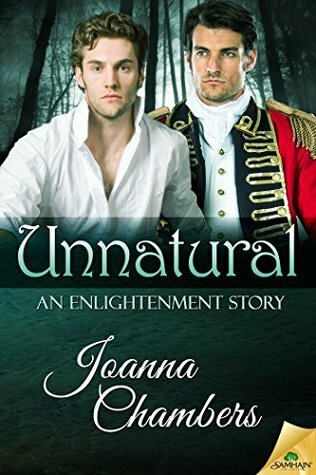 Enlightenment by Joanna Chambers is a MM Historical Romance. I'm usually not into Historical Romance novels, yet this one sounded different with two male main characters. As I really enjoy reading Contemporary MM Romance I thought reading of a time it was forbidden and looked upon as a sin would give the story a different vibe and feel. I was right! 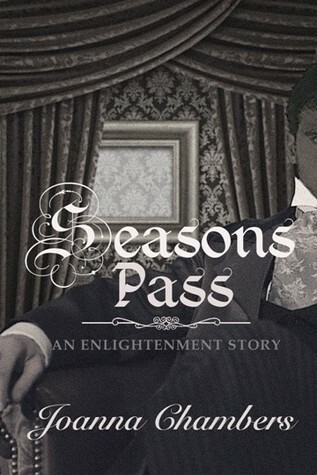 We begin the romance between the junior advocate David Lauriston who came from a small insignificant village and Lord Murdo Balfour who always had his desires in his reach in an insignificant sexual encounter not thinking much of it, and not expecting to either see each other again or the sparks that would still fly when they do. David and Murdo seems VERY different in their views of the world around them and not only because they came from a different background. It mostly has to do with the ideals each lives by. While Murdo confesses he expects to get married and fake a family life (while having men on the side) David doesn't plan on getting married or having a family since he couldn't possibly consider betraying his marriage vows. He also tries his best NOT to have sexual encounters with men but sometimes his desires gets the best of him, which is exactly what happened with Murdo. The series contains 3 rather short novels (round 200 paged) and one very short novella in between. It's not meant to be read separately - you only get the HEA in the very end. In the first installment it's mostly about convenient sexual encounters yet it slowly progresses into friendship in the second installment and on the third special circumstance temporarily allows them to actually become true lovers. Yet it feels that it could only be temporary. How can them manage a relationship in a world that doesn't accept gay people. Some things have a higher price than others, and some prices are totally worth the outcome. It was beautifully written, the romance was touching and realistic. I loved both David and Murdo, yet Murdo is my favorite of the two. As I'm not a romantic person per se, I really appreciated Murdo ACTED on his feeling with true loving intentions, he didn't seem overly romantic when you think about it, which is exactly what I enjoyed so much. He was true to his heart and wasn't ashamed of wanting and claiming, no matter the price, what he truly craved - David. There's a spin off novel of Iain Sinclair whom we've met in the previous installment finally finding his HEA with James Hart his childhood friend. It can be read as a stand alone but I don't advice is if you plan on reading Murdo and David's story later on (there's quite a spoiler in the one scene Iain meets Murdo and David).